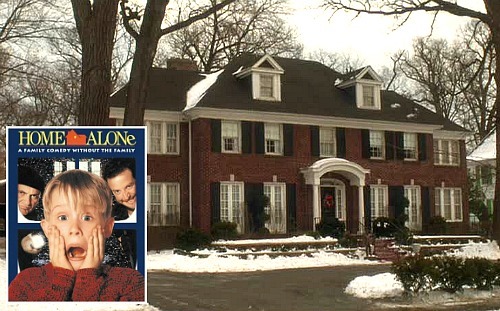 The 1990 John Hughes movie Home Alone made both Macaulay Culkin and the red-brick Georgian-style Colonial his character Kevin lived in famous. It remains one of the most popular and beloved movie houses ever, and it’s on the market in Winnetka, Illinois for $2.4 million. Let’s see how the real house looks now compared to the sets that replicated it on a soundstage for the movie 20+ years ago. The kitchen may be the the room that looks the most different. 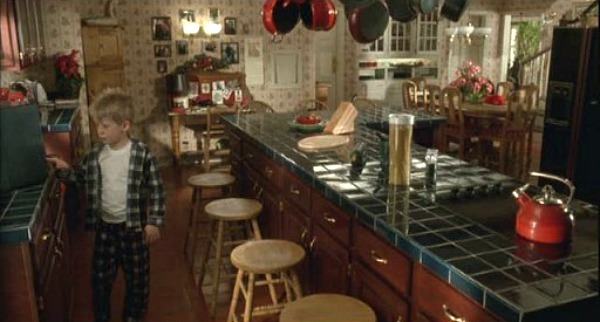 In Home Alone it had green tile countertops, dark wood cabinets, and wallpaper on the walls. 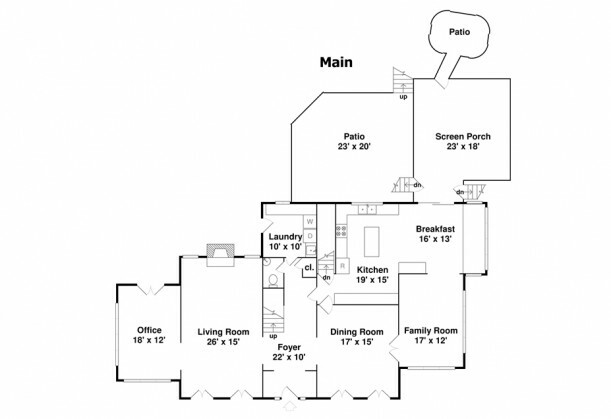 But according to the floor plan provided in the listing, it looks like there’s only a staircase behind a door off the kitchen going down to the basement. Bummer. The house has 3 stories and 5 bedrooms. The Duncans' Denver Home on "Good Luck Charlie"
Seems kind of cold and sterile now. And boy, in hindsight, I bet those parents wish they had kept their daughter away from Macaulay Culkin! Awesome home, the grey palette is quite popular right now. This palette gives it that understated elegance worthy of a home in that price range. What a gorgeous house! I would buy it in a heartbeat if I had the money. I’m glad all of that wallpaper isn’t in the actual house it’s self. It would be a pain to remove. I like the kitchen in the movie much better than the one in the actual house. It’s warm and inviting. Julia I really love the light and bright version! I don’t see it as cold or steril although I would love to see more art on the walls. It’s a nice house, but I agree with your first commenter that it seems cold and sterile now. The movie house looks dated today, but it is cozy. (Doesn’t look like it has back stairs — I think these go down to a basement not shown. Too bad – loved those in the film too. You’re right! Thanks for pointing that out. Oh! How cool is this, eh? I think it would amazing to live in this house not only for the “history” of it, but can you see how beautiful it looks now? It’s a beautiful house, I think I liked it better in movie, it looks a little cold and sterile now. Of course I always had a bit of “thing” for the kitchen, it looked SO inviting, it made my want to start whipping up a hearty stew ! Well it’s been 21 years! Looking to the old pictures, the house was a little busy for me now but when I saw the movie, I remember thinking that the house was fantastic! Now it looks clean and pretty but it lost its character. I think it is a little cold and unpersonal now. The right person, or the right designer (don’t forget me!!) can make it beautiful again. I love the redo! So much cleaner and uncluttered looking. Before it looked like the walls were closing in on you. When I look at the old photos I kind of think ‘mold’. LOL! I would also guess the reason it looks so sterile is because the home has been staged so people can see the house and it’s structure instead of all the ‘stuff’ inside. Your sentiments mirror mine. My realization (mentioned in a previous posting) that the kitchen stairs were fake, along with many other aspects, is quite shocking. 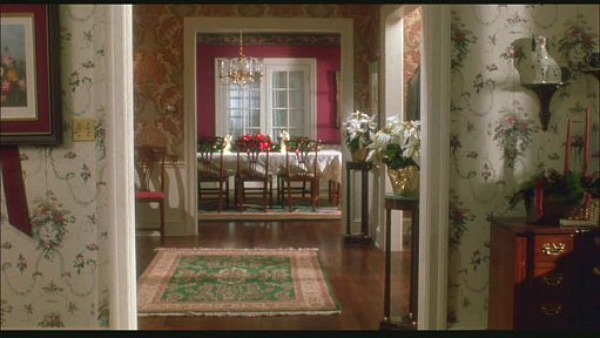 The wallpaper and furnishings used in the movie are timeless. If I had the means to purchase the house, I’d make it look as it did in the movie. As far as Uncle Frank goes, I can’t imagine talking to a child as he did to Kevin. The fact that parents Kate and Peter did nothing to deter it still baffles me! I wonder what was going on in the head~space of the screenwriter on that day. 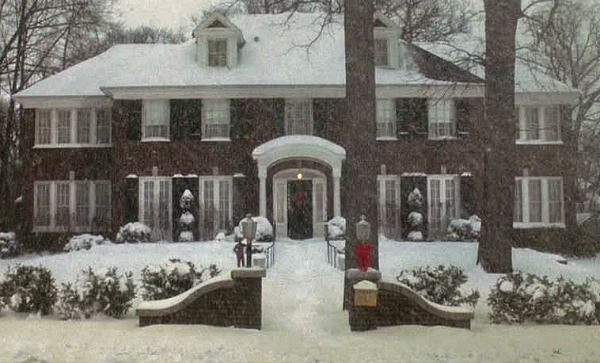 I have always loved this house since seeing it in Home Alone. The style of the outside is gorgeous. I’m not loving the interior decorating but it has great bones and the possibilities are endless. If I had a few million, I would buy it in a heartbeat. The neighborhood that it is in is absolutely beautiful with so much character. Some streets are still brick. It’s one of my favorite places to wander around, looking at all the beautiful homes and well manicured yards. I grew up down the street from this house. My parents live just across the bridge from it and my sister lives down the street from it. It is a nice house as are a number of houses in Winnetka. Wow, I really like today’s version. I still love the cozy feeling of the Home Alone decor too. It is simply a great house. Sadly, I don’t have 2.4 million in the bank. Oh well? I do not like the new color scheme or gray-scheme as it seems. Do you think it is staged? It is so sparsely decorated. I do not like the new kitchen. I love white but the cabinets look cheap. Is it just me -but I think the house now looks very cold and sterile. I was fond of grey years before it was in fashion. Now it’s just become very ho hum …one more grey room imagine that. It seems when something is nice it gets over done and then I get sick of it. I’ve always adored that house! You’re right…even though it looks dated to us now, it still looks like a “cozy Christmas home” every time I watch the movie (it is my guilty Christmas movie viewing pleasure each year). 😉 I like the new gray walls, but it doesn’t really feel homey to me anymore. But I am assuming that’s because it’s been staged to sell…no personal effects. That truly is a spectacular home and a cinematic piece of history. I have zero desire to live in Illinois, but with a house that beautiful I could definitely be persuaded. It looks so dramatically different from the movie (kitchen especially), but I like the more contemporary color palette and upgrades. Absolutely cold and sterile. What a shame. Where to start? I love the updated decor! It is beautiful. 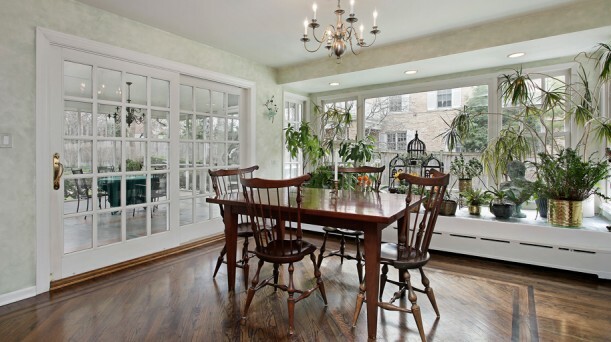 I especially love that sliding door that leads from the eating/breakfast room to the porch. While I’m not a huge fan of the red items in the master bedroom, I love the rest. The carpet and the wallpaper are so beautiful. The only room I don’t actually like is the dining room. I’m not a huge fan of the wallpaper or any of the furniture in that room. The kitchen is one other room that I’m not the biggest fan of, but it’s still beautiful. 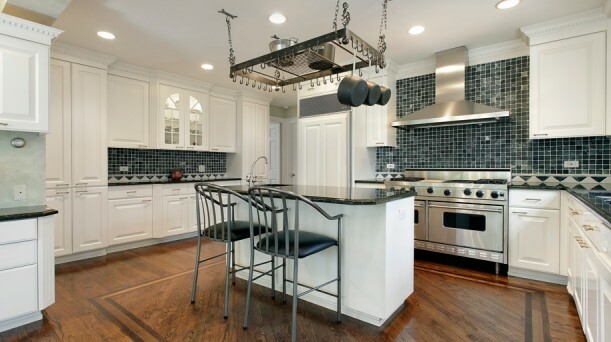 I just don’t really like white cabinetry as much and I’d have used a different tile on the backsplash. The best thing about the house though, in my opinion? Okay, the best two things? The floors – they are AMAZING – and the staircase. I love the staircase but I’m surprised they don’t have any sort of furniture at the landing. And is it just something with the camera, or is the staircase in the movie (soundstage/gym) actually built wider than the staircase in the actual house? I think most, if not all, of the shots used in the foyer were done on a set. That is not the houses’ actual staircase that is used throughout the film. The stairs in the movie are most definitely wider. 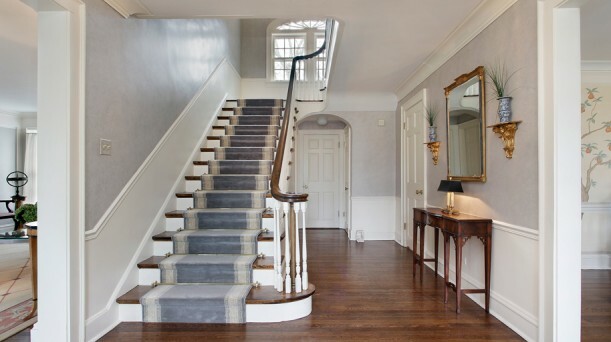 Note how wide the upstairs hallway is in the movie still when compared with the real estate photos. 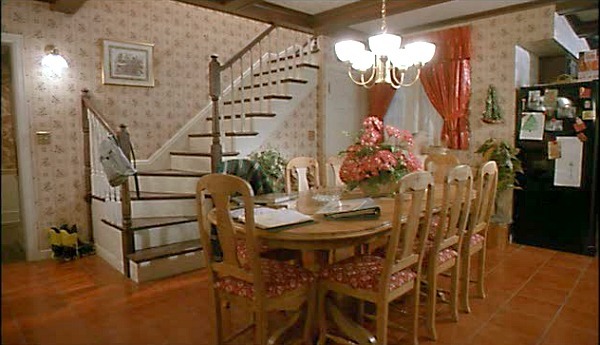 Other features that don’t add up are the much higher pitch of the ceiling (hall floor) above the kitchen door and (this is key…something I’ve always been aware of) the portion of banister on the landing in front of the window (real estate photo) is curved and much shorter than the banister shown in the movie. Love the new look although I might have chosen warmer colors…still neutral, but warmer. I think the old decor is pretty, too, and it did suit the house at the time. I lived in the far west suburbs of Chicago for several years. It’s an awesome city and I loved the whole experience. Great house, but since there is no back staircase (which I love!) then I’ll pass so you can make an offer! I love the exterior of the house. I think my heart would sing everytime I pulled up to it! I remember the first time I saw that wreath thing hanging over the bed in the master bedroom, I went right out to get a duplicate! I love the re-do, but the kitchen is not my taste, but what fun it would be to buy it and redo it! This still has to be my fave movie house. I know the interior in the movie was dated but I sure did love the “feel” of the home in the movie. So cozy and just felt like a family home. I loved the house before, I also love what it’s become now. It’s such a lovely home! What a great house. You can’t beat the Christmas version, tho. 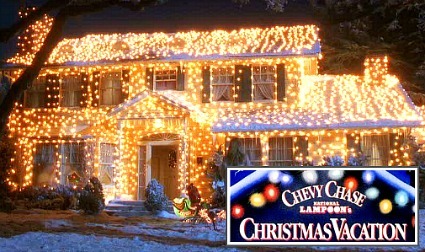 It would be so fun to have the house and recreated it again! 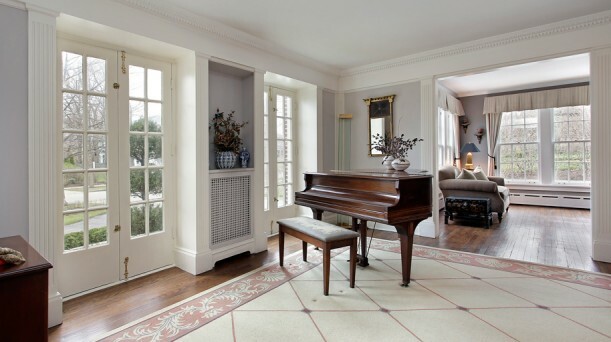 I loved the old and new house theme because the house is really elegant and inviting. 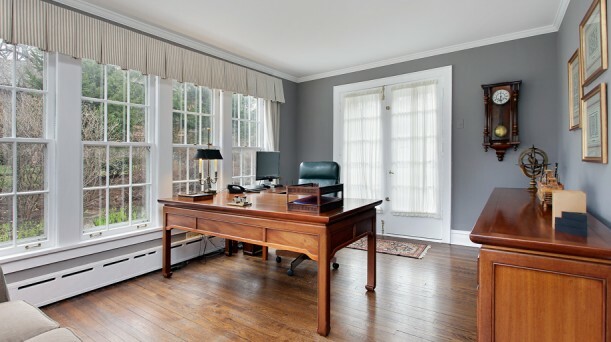 The old is warm and inviting while the new look exudes class and formality. Anyway, if I have the money, I will buy it because it is really beautiful. 1. The floorplan (thank you for including it! It’s great…but I agree, where’s the awesome staircase like in the movie??). 2. The colors are better in the old house (I agree again…the movie is dated by certain elements like the wallpaper and the green tile in the kitchen, etc., but it is SUCH a warm and cozy house!). The colors of the old (movie) house are so warm and happy. 3. The commenter ShabbyChick, above. She sounds like she’s watched the show as much as I have…which is at least 2-3x/year since it came out! I have that whole thing memorized! Now I watch it, partly for the funny dialogue and mostly for the lovely house! No Jockey statue? No deal! Too bad this isn’t in my market- I’d LOVE to take a buyer through that! I liked it the way it was before, down to the wallpaper and the tile in the kitchen. It seemed more like a home. Sad! The interior from the movie is just a film setting. You can see it when you consider the staircaise. The staircase from the film setting is a little bit larger than the original one. I guess, that the original house never had such wallpapers. This Home Alone house is one of my top ten houses , even as a child I loved this house, I sometimes paused it just to admire the decor. Now Im 30 and decorate to my liking and, Im in between Father of the Bride and H.A. house! ha, If that is even possible! I absolutely love this house, but I have to say, it looked so much more warm and cozy before the renovations. I probably wouldn’t say that about any house, but this one will always remind me of my childhood, so thats probably why I feel this way. Great pics! thanks for the article ! Tell what price? Where exactly you are, the matter is that I live in Belarus, nearby to Russia. and How many years to the house? ok I think I have it figured out! The screen porch off of the kitchen is actually what was used as the kitchen in the movie. The Kitchen was never actually used. In an interview with the owners they said that their screen porch was covered with fake brick walls for the shots of the back of the house. They also said a fake basement stairway was dug underneath the screen porch for the basement stair scenes. The basement scenes were all filmed on a soundstage in a gymnasium. I know this because I watched the extras on the dvd. 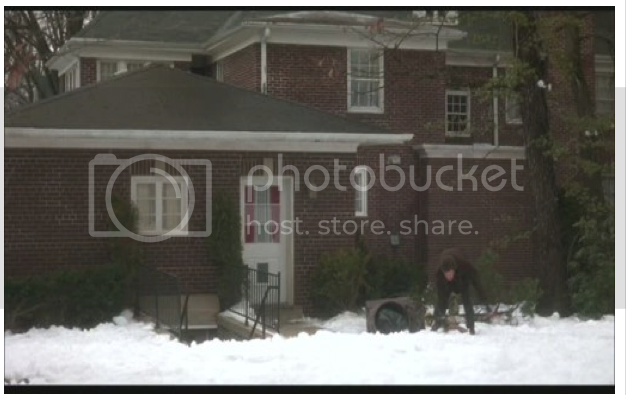 It shows Macaulay Culkin next to the furnace in a huge gymnasium set. I have taken screenshots two photos. One was from a video showing the house on a reality website. Its shows the screen porch. The other is a screen shot from the movie which clearly shows that the “kitchen door” in the movie was actually built in their screen house. There is also a paved little sidewalk up to the screen door which is scene in the movie going up to the “kitchen door” The same step can be seen as in the movie where he drops the pizza off. If you look at the windows and stuff in the pictures, they add up evenly. In the interview the couple also states that all of the insides were redone for the movie. Although they did have wallpaper at the time, it is not the wallpaper you see in the movie. They wanted the movie to be very Christmas themed so the film crew covered their walls in a styrofoam board and then wallpapered on top of that. This is how they were able to have the exact same wallpaper used for the scenes filmed in the gymnasium. Also stated is that while filming home alone 2 they came back and wallpapered again for that 2nd movie to make sure everything matched up. 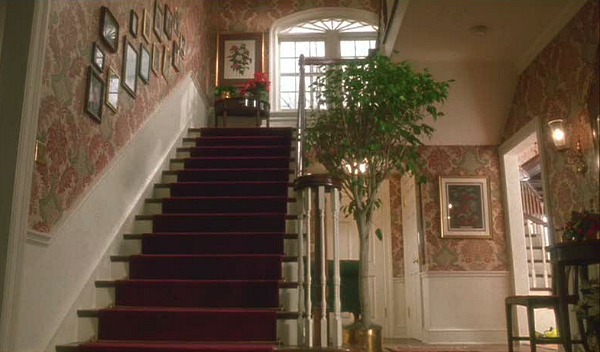 Noticed in Home alone 2 there is no 2nd stairway in the kitchen. That is because the real kitchen was filmed on a soundstage. I read Sarah’s comment saying everything filmed on sounstage were only the upstairs scenes. Not true. On the dvd special edition there is a thing called “mac cam” where macaulay culkin was handed a small camera to walk around set with. You can clearly see some of the downstairs stuff built right onto that gymnasium. The owners say that the only scenes filmed in the house were 1. The dining room scene 2. the fireplace livingroom scene 3. the stairway scene where mac is yelling over that he will live alone when he grows up and 4. the sled scene (somewhat) They layed a flat surface for macaulay culkin to slide down (slowly) and then edited it and had a stunt double on soundstage do the rest. Sarah have you found any family photos we could check out? Also note that in the movie the floor of the kitchen was tile. Wow! I love your attention to detail and dogged determination in figuring this out. Thanks for the photos, Brianna. This is great! This is so beautiful……there is such a big difference when it comes to design from 90’s to now….a wonderful change I’d say! One of my favorite things about the house was the kitchen. So sad to see that it is completely different. And, as dated as the interior is in the film…I still prefer it over what it has become. I miss the warm, cozy house in the film!! I have been “in love” with this house since the movie came out! The new renovations are nice, but I prefer the way the house looked in the movies. Even though it is outdated and cluttered, I love every bit of clutter and out dated decor in the house! I love the wrapping paper in the master bedroom, all the little chiatchkes on the shelves, the gingerbread house in the kitchen, all the games in the family room, the 80s decor in the master bathroom, all the wallpaper–especially the kind in the entryway/ stairwell and master bedroom! Do you know where I can get that same wallpaper? ^_^ Thank you for showing us this beautiful house! Well this one is definitely in my top 10..Probably #1.. I absolutely LOVE the kitchen ( the listing one). It’s perfect from the flooring go the backsplash.. Just beautiful. I’m not a fan of carpet but the carpeting in the master bedroom is GREAT.. And I love the bedding and curtains.. Maybe not with the red accents but it’s very pretty, and that wallpaper!! It’s gorgeous. 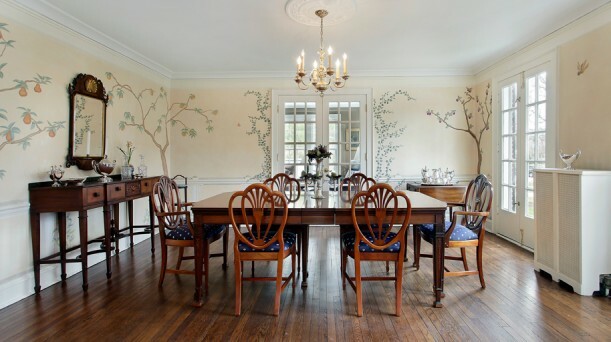 Obsessing over the dining room, although I could kind of do without the mural or whatever it is.. Maybe just on one wall or something but I’d take the entire house as is.